For residents of Nevada, trusts can be a valuable part of estate planning. Revocable trusts can offer substantial benefits, from probate avoidance to asset management in the event of incapacitation. However, it’s important to note that these benefits won’t exist if the trust isn’t properly funded. Undesirable tax consequences may arise when moving a qualified retirement plan or IRA to a revocable trust. To avoid this, instead of transferring these assets, the trust can be designed to allow it to be designated as the beneficiary; this offers tax benefits. Annuities and insurance policies can either have the beneficiary designation changed or ownership transferred. Though, in some instances, it might shield life insurance policy proceeds from estate taxes by holding it in an irrevocable life insurance trust. To fund a trust, ownership of assets must be transferred to the trust, or the trust must be designated as the beneficiary. Real estate and bank accounts, stocks and other investments and business interests are all assets that should be transferred, as well as personal property such as vehicles, collectibles and furniture. Often, individuals are conscientious about funding their trust when they initially sign the documents, but then they overlook new assets acquired after the trust was established. The benefits of the trust can’t be enjoyed unless these new assets are transferred to the trust or the trust is designated as beneficiary. 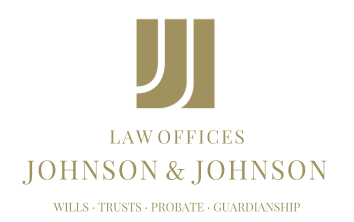 For individuals in Nevada to be able to make the most of their revocable trusts, they should remember to either transfer significant assets to the trust every time one is acquired or appropriately designate the trust as beneficiary, whichever is appropriate. An estate planning attorney can offer guidance throughout the process. A lawyer familiar with the ins and outs of trusts can also offer insight on the best approach when it comes to insurance policies and whether it is more beneficial to change beneficiary designation or to transfer ownership.